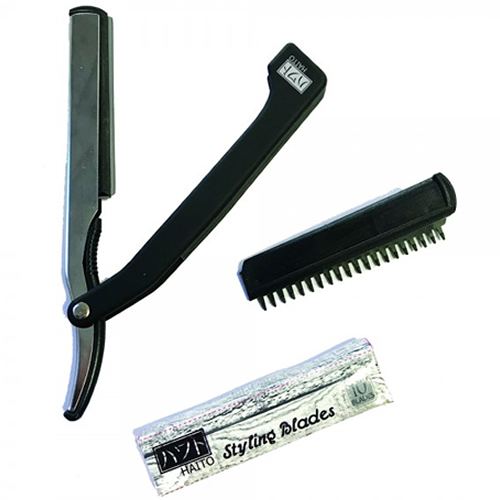 The Haito Styling Razor is a great value blade holder with a black plastic handle and zinc alloy body. It comes supplied with a plastic comb insert and 10 disposable stainless steel blades. Disposable, stainless steel razor blades designed to fit the Haito Styling Razor. Available in packs of 10 blades.